Just after midnight, the famous Orient Express is stopped in its tracks by a snowdrift. By morning, the millionaire Simon Ratchett lies dead in his compartment, stabbed a dozen times, his door locked from the inside. One of his fellow passengers must be the murderer. The whole story happened in just two days. The night of the murder (and the introduction of the characters during the day time prior to the murder) and the investigation that took place the next day. 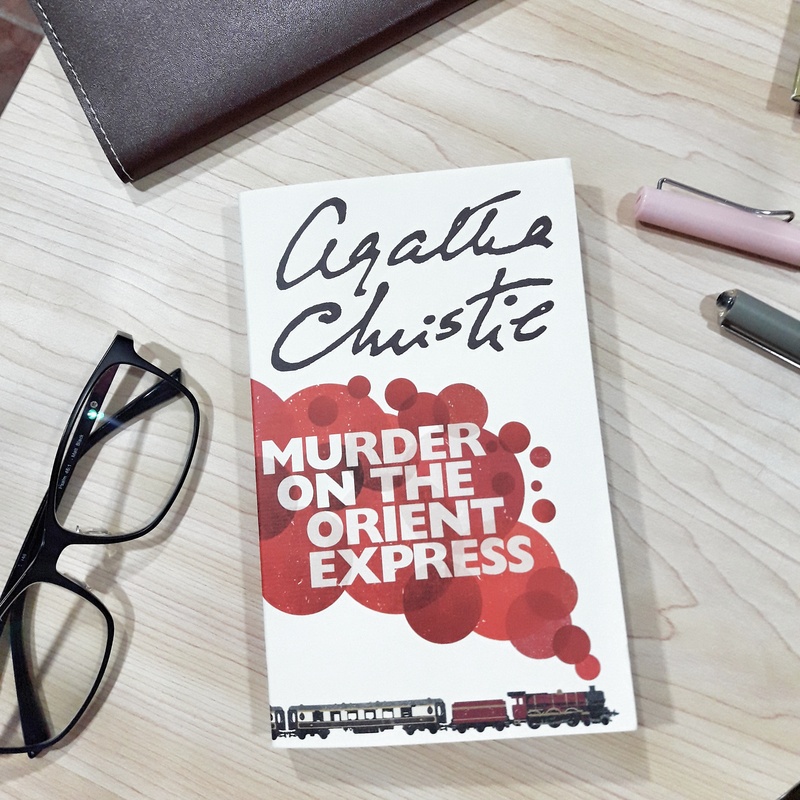 With just a handful of people on the train, 12 passengers plus the staff, the owner, the doctor and the detective – Hercule Poirot and with very limited space as the whole scene happened inside the train, one might think that it will be very easy to catch the murderer. Each chapter was dedicated only to one person’s investigation. So I felt that there you go, the information is being laid down in front of me, all I have to do was to read it chapter by chapter. However, as the last person was investigated, it seemed like no one was guilty after all and that’s where the confusion started. In the end, all the passengers were actually involved in the murder except that I didn’t figure out who exactly among them killed the victim. The setting. The Orient Express ran from Syria, to Istanbul to Europe and I was imagining how it was back then while reading the first parts of the novel. I like stories that tell me how it was in the past as I find the past very interesting when technology hasn’t taken over the world yet. The way the author has written the book. It seemed so clear to me and does not have so many extra side stories, no backtracking of someone’s memories and it’s not like the usual mystery thriller novels where there are so many chapters and side stories (that’s why I’m not a big fan of this genre). I have been seeing Agatha Christie’s name everywhere so I thought I have to read at least one of her books. I felt weird not knowing her. I randomly picked this book among the so many other Agatha Christie books on the bookstore just because I liked the title (lame, I know). I’m not too sure if I liked the book or not. It was a good read but maybe because I’m not a big fan of mystery thrillers so the feeling is mixed. This book is a proof that less is more. It doesn’t have to be a very thick book to be a good mystery thriller novel. So, would I recommend this book? Yes, for those who love mystery thrillers. ayyyy i lab mystery thrillers! lol . but true! good point on the less is more insight. this is true for AC’s books. nakabili yung mom ko ng marami sa thrift store, maliliit lang. magaan sa bag! haha. I’m reading this book right now and wanted to see if other people liked it. I’m glad I came across your review!